Our Premium Books are digitally printed in black and white, using top quality gloss paper with colour printed, laminated covers to protect the edges against damage, and bound together using saddle stitching staples. The Music Master Keyboard Book Part One relates to the electronic keyboard exploring many different musical styles such as classical, jazz, ragtime, blues and heavy metal. The book also provides finger exercises, sight reading practice and theory knowledge enabling you to progress at your own pace. All the terminology, key features and tasks are explained with each piece making learning accessible and fun for all. The Music Master Keyboard Book Part Two enables progression to the next level with more focus on piano playing skills provided through a variety of piano pieces which challenge your technique and stylistic awareness. The book also offers more advanced finger exercises and further developments in sight reading practice to develop a stronger musical understanding. The Music Master Puzzle Book Part One offers many different types of puzzle from crosswords, word searches and mazes to more complex puzzles requiring the completion of various tasks in order to reach the final answer. Challenge yourself with ‘The Treasure of Long Island’, practice your rhythmical skills with ‘The Numerical Puzzle’, and explore the great composers through ‘The Composer Nationality Quiz’. 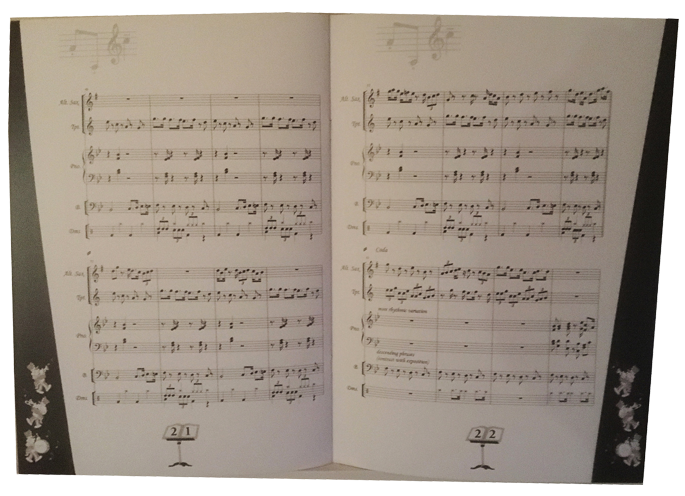 The Music Master Puzzle Book Part Two is a continuation of part one, though the puzzles become more challenging. In this book you will discover ‘Beethoven‘s Blockbuster’, ‘Mission Impossible’ and ‘Graham‘s Millennium Puzzle’ which will also test your ability at solving anagrams. Each puzzle provides a progressive build up of knowledge and historical context. Through the fun and excitement of completing each puzzle, the experience of learning becomes a reality. The Music Master Composition Book Part One will teach you how to create melodic ideas, adapt them for instrumental combinations and create exciting projects which include writing traditional sea-shanties and pop songs. Each chapter explores structures and techniques for writing music with detailed examples every step of the way. The Music Master Composition Book Part Two will teach you how to compose a Ground Bass and two traditional dances ‘Galliard and Pavane’ from the baroque period. This book provides a variety of additional skills which enable you to progress onto the next level offering techniques to extend melodic ideas and opportunities to create richer textures through writing for several instruments. The Music Master Composition Book Part Three will challenge you to the next level providing two exciting projects; writing a complete set of ‘Theme and Variations’ and ‘Writing a Rondo’. These projects combine all the skills developed in parts one and two and in addition provide you with an important library of tools and techniques which will help you become an independent composer. The Music Master Ensemble Book Part One explores the world of Jazz providing a detailed understanding of chords, blues notes, jazz instrumentation and musical structures offering projects on how to write for the electronic keyboard and the Jazz Band. 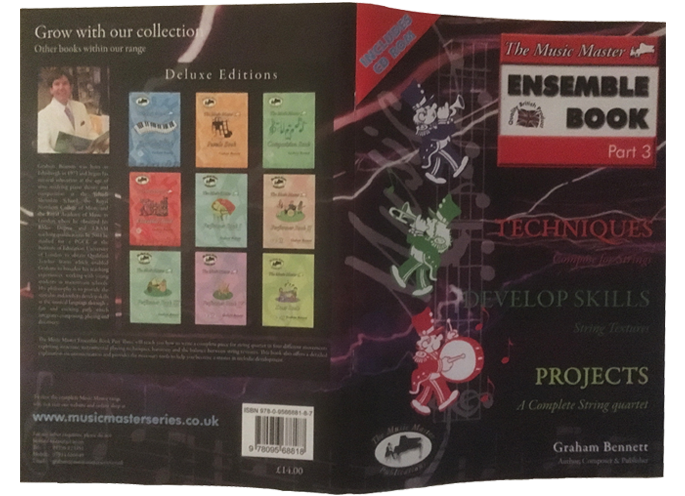 The Music Master Ensemble Book Part Two explores the first steps of writing for a full choir providing a build up of skills and knowledge. These skills include working with text and other stimuli, creating short and full scores, combining different vocal techniques and creating a mixture of textures through the layering of parts and different vocal entries. This book also explores some of the most famous vocal works composed through the History of Western Classical Music. The Music Master Ensemble Book Part Three will teach you how to write a complete piece for string quartet in four different movements exploring structure, instrumental playing techniques, harmony and the balance between string textures. This book also offers a detailed explanation on ornamentation and provides the necessary tools to help you become a master in melodic development.